Why Til is not Offered to Lord Shiva? | Is Sesame Oil Used in Worship of Shiva? Til, sesame, is not offered to Lord Shiva in some regions and by some Hindu communities. Similarly Sesame oil is not used in the worship of Shiva in some regions in India. There are numerous such items that are not offered to Lord Shiva the list includes water from shankh (conch), tulsi leaves, turmeric, flowers like kaner, ketaki, kevada and lotus, akshat (uncooked rice), and kumkum. Why Til is not Offered to Lord Shiva? The reason for not offering Til is that it is believed to have appeared from the body dirt of Lord Vishnu. This is the reason why sesame is not offered to Shiva. Sesame oil, sesame seeds, food and sweet prepared using sesame are not offered to Shiva by many Hindu communities especially north, west and eastern parts of India. For example, turmeric is not used by some Hindu communities because Shiva represents virility. Turmeric is feminine and therefore it is not offered to Lord Shiva. But in Maharashtra Khandoba, manifestation of Shiva, is worshipped mainly using turmeric powder. Temple of Khandoba are smeared with turmeric powder. Why Tulsi Leaves are not offered to Shiva in Hindu Pujas and Rituals? 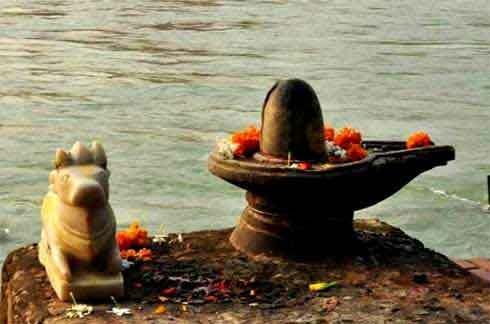 Why Water From Conch Or Shankh Is Not Poured On Shivling?